As a parent, we know you are concerned about your children’s teeth. 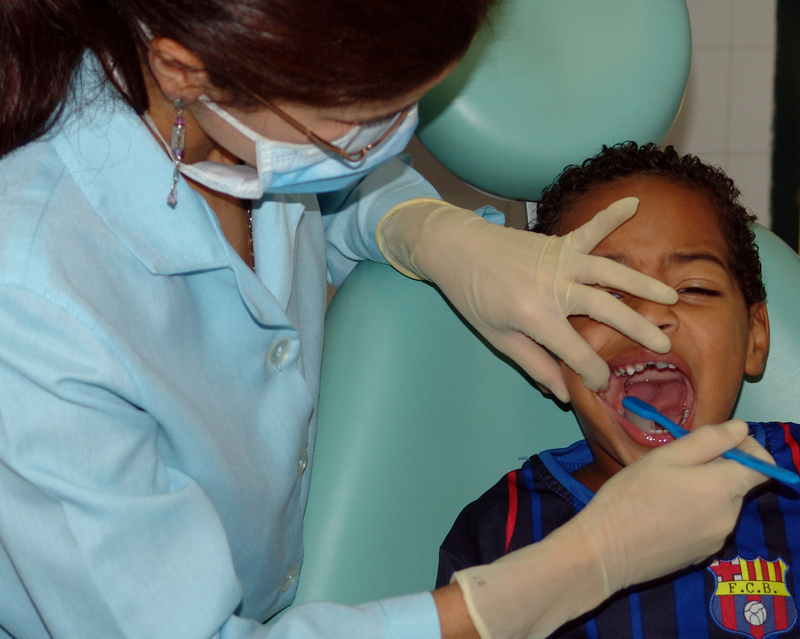 However, this can be complicated by the fact that, unfortunately, many children fear the dentist. How can you get around this? Not to worry – we have answers! Read on to find out when you should take your children to the dentist, the best ways to prepare them, and how to select a kid-friendly dentist. To prevent cavities and other dental problems, the American Academy of Pediatric Dentistry recommends that children see a dentist every 6 months. They also advise parents to begin these visits early—at the appearance of a first tooth or by your child’s 1st birthday. What are some tips to make dentist visits easier? Do Not Transmit Fears – Roughly half of all US adults have their own fears about visiting the dentist. Avoid transmitting your concerns to your children. Always talk about the dentist’s office in a positive and encouraging way! Model Good Behavior – If children are particularly fearful, you may want to have them watch one of your appointments. This gives them the opportunity to see that dentist visits do not have to be frightening, but in fact, they can be quite easy. Visit the Office – Going to the dentist might seem intimidating if your children have never been to a dental office before. To decrease these fears, you might want to bring your children in to view the office before their appointment. This can help children feel more at ease about their impending visit. Does the dentist I choose matter? Quite simply, a kid-friendly dental office can make a big difference in your child’s comfort level. A pediatric dentist should be willing to spend a little extra time with kids so they can feel more relaxed about any procedures. They should also feel quite comfortable working with children. Fortunately, you will find that here at Hassey Do Duy! How can your dental staff put my child at ease? For one thing, we love working with children! Many of us are parents ourselves, so we understand that fearful children need a little extra time and attention. We also know that children’s earliest experiences at the dentist play a big factor in how they approach dental visits in the future. Therefore, we make it a priority to help make their visits enjoyable. At our office, you will find that we take the time to make sure your child is relaxed and comfortable before the appointment begins. Then, we enthusiastically explain what is going to take place during the appointment. Knowing what to expect can significantly help your kiddo relax! This approach makes the cleaning experience a fun one rather than something to be feared. With our evening hours and Saturday appointments, scheduling a dental visit at our convenient Methuen location is easy! Simply call us at 978.688.4441 or click here to use our online scheduler.